KUWAIT CITY, June 29: In support of its regional growth and expansion plans, Microsoft Kuwait, recently moved to a larger and more central office, which will accommodate the company’s growing team, business, and solution suite. The new office will also feature new amenities for employees and visitors, improved customer experience areas, and room for growth as well. “Kuwait has always been enabling companies including Microsoft to grow and thrive locally by connecting customers to opportunities, enabling businesses to thrive and support economical prosperity. Considering the traction that we have already built within the Kuwait market, we wanted the move to foster positive impact, and a larger location with more modern facilities will help us achieve this. We have also prioritized our customer experience, and we are confident that our enhanced operational efficiencies will only lead to exceptional value and superior service to our customers and partners,” he added. 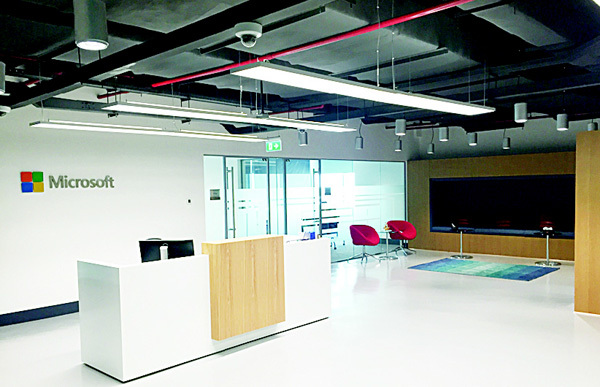 Microsoft Kuwait’s new office is located at Arraya Complex, Al-Shuhada street, Kuwait City, Kuwait.